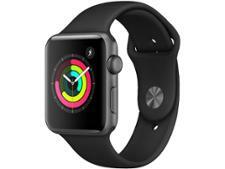 Which Apple Watch should I buy? - Which? Confused by the number of Apple Watch versions available? We explain the differences and reveal which came out on top in our tests. Apple is the leading name in the smartwatches market. An Apple Watch puts your phone’s screen on your wrist, so you can receive texts, calls, emails and calendar alerts with your phone firmly in your pocket. Or even, as with the Apple Watch Series 4 and Apple Watch Series 3 LTE, while your iPhone is safely at home. While all models look very similar, we’ve found that they aren’t all created quite the same. Processor, price and features – these are just some of the differences between Apple Watch devices. In the table below, we take a look at the latest smartwatches from Apple, from the Series 1 through to the Series 4. We’ve found models that track steps without error, but we’ve also found one Apple Watch version that overstated calorie-burn by almost 50%. If you just want to read the full reviews, head over to our Apple Watch reviews. We compare the notification and messaging features of every Apple Watch, as well as how quickly it completes tasks, to help you pick the right one for you. 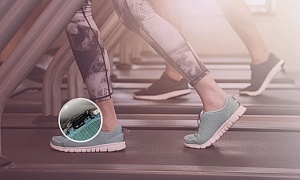 To check the accuracy of the fitness tracking, our test participants walk on a calibrated treadmill at 4.8km/h for 10 minutes and run at 9-10km/h for 10 minutes. They also complete a routine of daily tasks, such as loading and unloading the dishwasher, and carrying the shopping. To find out more about the challenges all wearables face in our labs, see how we test smartwatches. Only logged-in Which? members can view the full Apple Watch results in the table below. If you’re not yet a member, join Which? to get instant access. Should you upgrade to this speedy Apple Watch? The most accurate Apple Watch model we've tested. This Apple Watch will help you stay connected at all times, but what else is on offer? Not found the product for you? 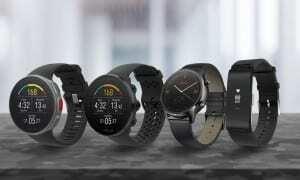 Browse all of our smartwatch reviews. How much will an Apple Watch cost? The price you pay will depend on which Apple Watch options you choose, including the size of the screen, and the material of the band and casing. Apple has also partnered with other brands, such as Nike, and designers to offer additional options. The current Apple Watch series of smartwatches ranges in price from just under £250 for a 38mm Series 1 with an aluminium case and rubber sports band, right up to £1,500-plus for a designer Hermès version. The original Apple Watch and Watch Sport aren’t available to buy via Apple, but you may be able to pick up a second-hand one on the cheap. The Apple Watch Series 4 with GPS will cost £399, and the Apple Watch Series 4 with cellular will be £499. All of the models in the Apple Watch range are compatible with iOS devices, such as your iPhone and iPad, and offer similar features. The current range includes the Apple Watch Series 1, Series 3 GPS, Series 3 GPS + Cellular and Series 4. You might also see the Series 2 in some retailers, although this was officially discontinued by Apple in September 2017. So what sets them apart, and what should you look for? All Apple Watches run watchOS, which is designed to work exclusively with iOS devices and so can’t be used with Android or Windows. Check out our smartwatch reviews for devices that are compatible with other operating systems. In September 2018, Apple released the next version of the operating system – watchOS 5. Older models – apart from the original Apple Watch – can be updated with the latest OS version too. Apple’s operating system is a touch-based interface that offers the gamut of smart features. You can read and respond to texts and emails, answer and make phone calls, and get social media notifications. You can also use the watch to craft social media posts, such as tweets, from scratch, and make contactless payments via Apple Pay. You can use the voice-command feature courtesy of Siri. 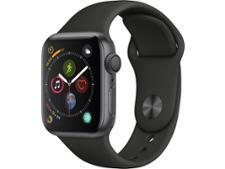 All Apple Watches look similar, with a rectangular face, touchscreen display and circular button on the side for scrolling through menus and notifications. However, the Apple Watch 4 has a new edge-to-edge display that's more than 30% larger than the Series 3. The Apple Watch 4 will be available in 40mm and 44mm. Previous versions came in 38mm and 42mm. The Series 4 also departs from the norm in that the digital crown now gives haptic feedback (small vibrations) for what Apple calls a more 'precise, mechanical feel'. The Series 1 comes with an Ion-X glass screen, while you can pick from Ion-X or the even more hard-wearing Sapphire Crystal for the Series 3. For the casing, you can choose from aluminium or stainless steel. There’s also a pricey ceramic option available for the Series 3 GPS + Cellular, which costs more than £1,200. The Series 1 can only be bought with a rubber strap, which is good if you plan to exercise wearing your smartwatch as it will be easy to keep clean. 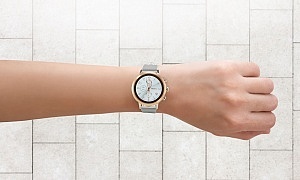 The Series 3 comes with a variety of strap options, including rubber, leather or stainless steel link. All Apple Watches use an on-board processor. The original models have an S1 chip, while the Series 1 models have an updated S1P dual-core processor. The Series 3 is equipped with an S3 processor, which is more powerful and includes on-chip GPS functionality. The Series 4 has a new dual core 64-bit processor for (Apple claims) double the performance. Built-in GPS lets you track your routes without relying on your smartphone, so you can leave your mobile at home when heading out for a run. It’s available on the Series 3 and Series 4 models. The, now discontinued, Watch Series 2 was the first range of smartwatches from Apple to be made water-resistant, with a rating of 5ATM. The Apple Watch Series 3 and Series 4 have followed suit. This means they're fine to wear while showering or swimming, even in open water, but won’t be suitable for watersports or diving. It’s currently impossible to seal a speaker, because it needs air to produce sound, but Apple has got round this by creating a speaker that lets water in and then uses sound vibrations to eject it back out. We checked the waterproofing claims for the Series 3 in our labs – find out if it passed, and if it’s a good option for keen swimmers, by diving into our full review. We've taken a first look at the Series 4, and we'll come back with more detail when we've put it through our full testing.